Nice extra clean 1 owner Suburban. 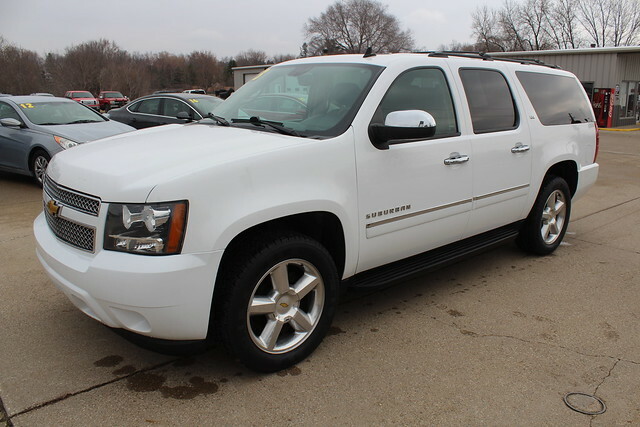 This 7 passenger SUV comes well equipped with 2 DVD Screens, Ally Wheels With New Tires, Second Row Buckets, Power Rear Liftgate, Navigation System, Bluetooth, Sirius Radio, Power Seats, Heated and Cooled Seats, Power Sunroof, Front Fog Lamps, Power Adjusting Pedals, Tow Package. This vehicle is rust free and runs and drives like new.